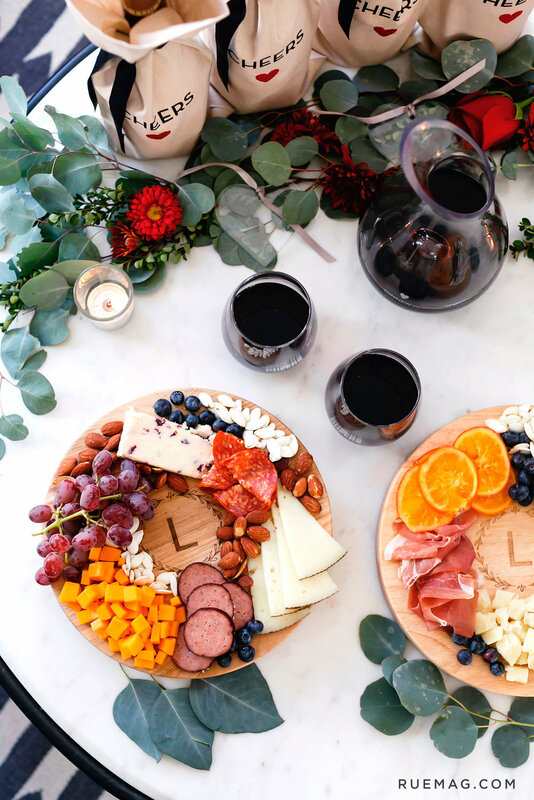 Last fall, I put together an at-home holiday kick off party for a partnership with Shutterfly and Rue Magazine. 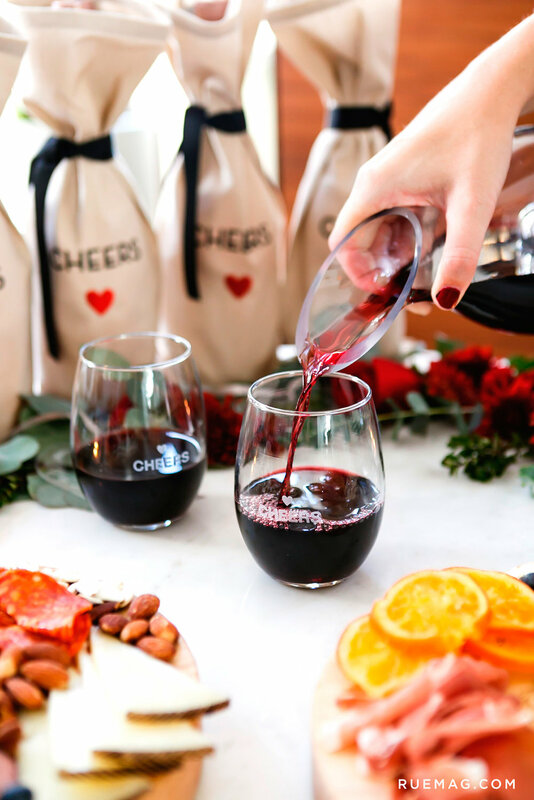 I actually am a little opposed to the blog world's whole "create a fake party for the Internet" routine, so I only agreed to take on the project with the premise of having friends over after the images were taken so we could enjoy the cheese and wine IRL. It ended up being such a fun night! The concept of the shoot was to highlight Shutterfly's custom gift options. This was actually pretty interesting, because I was under the assumption that the brand only offered photo gifts. Color me surprised. The wood cutting boards have gotten a lot of use in our house over the last year! Since Halloween is behind us and I've already binge-watched all of Stranger Things, I'm officially ready to get into the holiday spirit. I wanted to dust these photos off (which were all taken by Monica Wang) and share them here in case you have plans for hosting this season! - When it comes to cheeseboards, MORE is always better. Guests will feel more inclined to enjoy if it's less obvious how much they've eaten. (For real.) So pile on the cheese, meat, and accompaniments. Also, I like to use lots of color, so look for dark berries and grapes and a few different types of nuts. In this case, I got those candied oranges from Trader Joe's, but FYI, they're gross. Cute for a picture, bad for a tastebud. - When it comes to flowers, a "garland" is the easiest way to make your party look legit with the least amount of effort. I buy inexpensive greens and blooms from the grocery store and then place them artfully. While they won't last as long but it really looks high end and special. And that's the key! 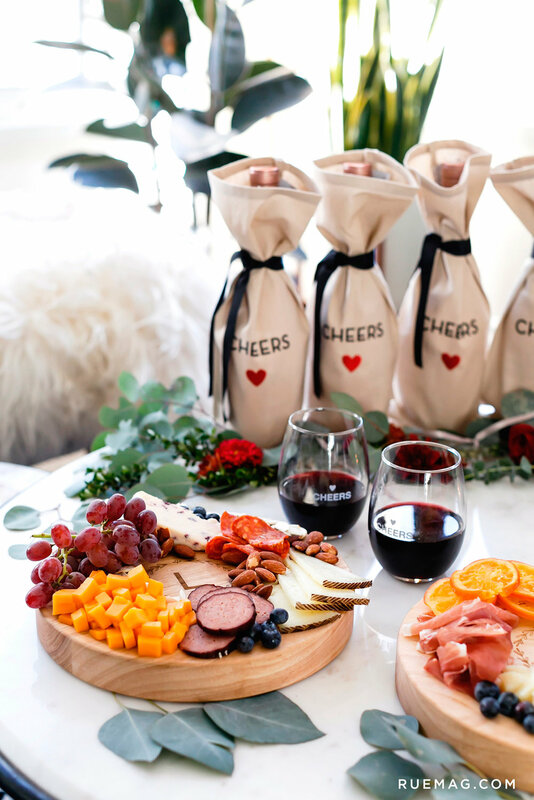 You want your guests to feel like it's a special occasion. Well, that's literally it. Cheese and flowers, the key to life! If you want to see more of this post or find product links, you can visit the original feature on Rue here. I hope you have a great weekend and get to enjoy as much cheese and wine as your heart desires.